Let ESL Certified help you get an English teaching position in South Korea. We can guide you through the application process and support you every step of the way. 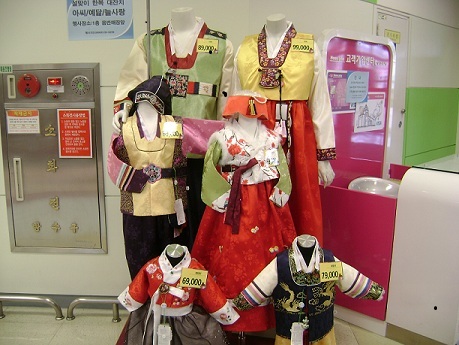 Before you begin, get to know a little more about South Korea. Click to see FAQs about Korea, to learn how to apply, or here to apply now. South Korea is a prosperous, technologically sophisticated country with a fully functioning democracy, a highly developed market economy, an advanced transportation network, a world-renowned education system, and first-rate health care. In understanding South Korea, it is important to realize how this modern 21st century society juxtaposes with the inhospitable landscape upon which the country rests. The mountainous terrain of the Korean Peninsula leaves few desirable habitable areas. As a consequence, South Koreans have traditionally occupied relatively small pockets of the most wanted locations, and over time these areas became more developed and densely populated. The result is a country with one of the world’s highest population densities, about 10 times higher than the world average. Most South Koreans live in urban areas with about half of the country’s 50 million people living in the Seoul National Capital Area. Seoul itself has a population of about 10 million. Along with other major cities like Busan, Incheon, and Daegu, Seoul provides its residents with the modern comforts and conveniences that one desires when living and working abroad. But South Korea is not all high-rises, factories, and urban jungle. The South Korean government has pushed hard in recent decades to preserve and protect the environment. As a matter of fact, South Korea has 20 national parks and other popular outdoor locations like the picturesque seaside towns in South Gyeongsang, the Boseong Tea Fields, Suncheon Bay Ecological Park, and the Jeju Island—a favorite honeymoon destination. A wonderful aspect of living and working in a foreign country is being able to observe and participate in local cultural offerings. And in the case of South Korea, it’s mostly about the technology. Most South Koreans own a mobile phone and wide access to broadband Internet has allowed online games and social media to become a significant part of Korean culture. South Korea also has among the fastest Internet download speeds in the world. It’s no surprise that mainstream culture permeates society through mobile phones, video game consoles, plasma TVs, and cutting edge theaters. Televised dramas like Princess Hours, internationally acclaimed films like Shiri, popular music known as K-Pop have swept across the country and are well-known to most Koreans. South Koreans are also crazy about their food. South Korean cuisine is often heavily seasoned with ingredients like sesame oil, fermented soybean paste, soy sauce, salt, garlic, ginger, and hot pepper paste. Largely based on rice, noodles, tofu, vegetables, fish and meats, traditional Korean meals are savory and filling. Every meal is accompanied by numerous side dishes and kimchi, a fermented spicy vegetable dish, is usually served at every meal. When not plugged into a game console or dining on their favorite cuisine, South Koreans love following sports. Football and baseball are the two most popular spectator sports while martial arts, like the South Korean invention taekwondo, is very popular among recreational sport enthusiasts. South Koreans view education as essential to financial and social success, so competition among students and their families is intense. Outside tutoring and enrollment in “cram schools” is routine. And apparently all this hard work pays off as South Korean students frequently rank among the best in the world in problem solving, mathematics and science. In keeping with this intense drive to create a highly educated society, South Korea has drawn on its technological prowess to become the first country to bring high-speed fiber-optic broadband Internet access to every primary and secondary school in the nation. And by 2013, it plans to distribute free digital textbooks to every primary and secondary school in the country. Being an EFL teacher in this highly sophisticated and motivated educational world is stimulating and rewarding, but you will not be alone in reaping its rewards. An estimated 40,000 native-speaking English teachers live and work in South Korea. Yet there is still an intense demand for more EFL teachers, so much so that schools are experimenting with the use of English-speaking robots as teaching assistant. ESL Certified places most teachers in private schools, known in Korea as hagwons. Most Korean students attend public school in the morning and then attend private English schools in the evening. Therefore you should expect to be teaching in the afternoons and evenings. Korean students have very long days and the pressure can be intense so it is important for you to be a caring and interesting English teacher. So don’t let a robot take your place, get the application process started today with ESL Certified. Take a look below at the application process, job requirements, salary particulars and more. Here at ESL Certified we aspire to provide the best service and support in the industry. One way in which we do this is by providing a thoughtfully written FAQ section. We try to provide information not covered elsewhere on this page. If you have a question which is not covered below or elsewhere on the page, please contact us. Click here to see FAQs. *Graduating college seniors can apply now and start the process upon graduation. Interested in teaching English in Korea, follow 9 easy steps: Click here to learn how to apply. 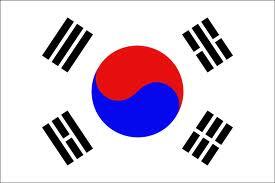 In order to teach in South Korea you will need to obtain a work visa. An E-2 visa is the most common visa type that is given to teachers who are either teaching in a public or private school and/or private language school such as a hagwon. Nevertheless there are some teachers that are given an E-1 visa however this visa is usually given to those that are teaching at a university or college nonetheless a person with an E-2 visa can work at a university or college as well. The visa process can seem a bit daunting however our professional and experience staff will assist you ever step of the way. Authenticated (Apostilled or consulate verified) copy of your college diploma – click to learn more about apostillization. National criminal record check with apostille authentication (Americans: FBI background check and for Canadians: National RCMP check) – click to learn more about apostillization. After you have completed the interview phase of the recruiting process and have accepted a job offer you will then begin the visa process. Depending on your country of origin there may be some slight differences in the document that you will need to obtain however our staff will be here to assist you with every step. Although the cost and time obtaining your visa can vary you can expect to pay approximately $100 USD and complete the process takes about 2-4 weeks. Step 4. Once we have received your document please allow us one to two business days for our staff to go over them after which we will forward them on to your employer in Korea. If there are any missing or incomplete items will we contact you. Step 6. Once the visa issuance number has been obtained we will email you the number. Your passport - Your visa will be affixed inside your passport therefore be sure to have at least 2 or 3 empty pages in your passport before submitting. Cost: $45 USD if you are wanting a multiple entry visa you may need to pay more. Step 8. The Korean Consulate will issue your visa and will return the passport to you. Click here to apply now!